What’s the Project? Calling all pumpkin lovers-these easy vanilla pumpkin cupcakes are super simple to make and will give you that taste of pumpkin that you love. Add a little spice and a yummy buttercream frosting to the top and you’ve got a perfect pumpkin cupcake recipe. I just keep saying it, but I will say it again! Fall means baking! 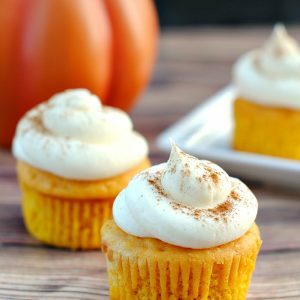 These easy Vanilla Pumpkin Cupcakes are a very subtle pumpkin-y flavor that is perfect for just about anyone, no matter how big of a pumpkin lover they are. Plus, they look kind of festive for Fall don’t they? 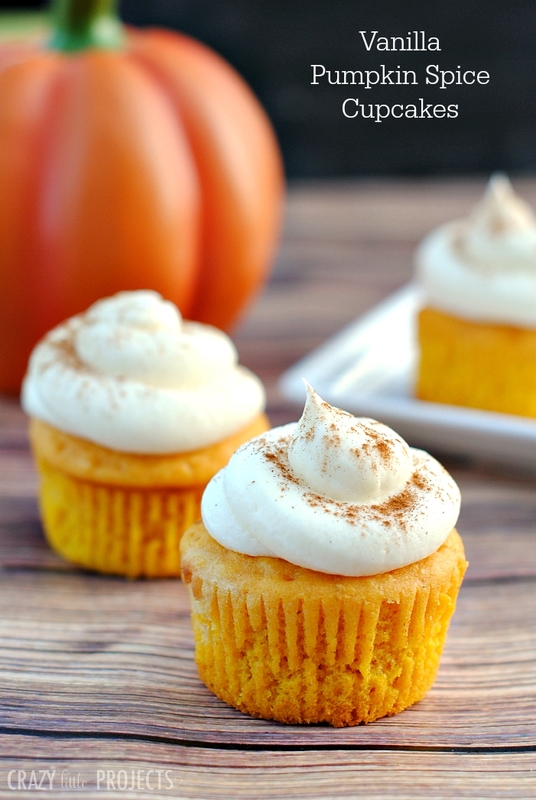 They are a vanilla cupcake with a subtle taste of pumpkin, topped with vanilla buttercream and a sprinkle of cinnamon. Calling all pumpkin lovers-these easy vanilla pumpkin cupcakes are super simple to make and will give you that taste of pumpkin that you love. Add a little spice and a yummy buttercream frosting to the top and you’ve got a perfect pumpkin cupcake recipe. Combine all ingredients except cinnamon and mix thoroughly with an electric mixer. Spoon batter into lined muffin tins. Allow pumpkin cupcakes to cool. Frost and sprinkle with cinnamon. Combine ingredients. If it seems too runny, add a little bit more powdered sugar. Too thick? Add a tiny bit more milk. I spoon it all into a ziplock bag, snip off one corner and use that to pipe the frosting on. Add a dusting of cinnamon and serve! So easy right?! Hope you love these pumpkin cupcakes! These cupcakes look so yummy! I’m excited to give them a try. Do you think they would pair nicely with a Dairy Queen Mini Pumpkin Pie Blizzard? MMMMMM. Want to make these pumpkin cupcakes for school, but I don’t see how many this recipe makes. Do I have to double it for a class of thirty? Sorry, I will add that. It makes 24. I’ve made these. How funny to have almost the exact same recipe. My recipe says add 3 cups of pumpkin. I mixed it up once and bought pie filling by mistake and the whole batch made a b-line to the dumpster. Way to much spice. I have a couple of silicon cup cake pans. I like not having the little papers, but they do get stale faster. So have a tin to store them in. Cooking in silicone, they may take a couple minutes more, but check them at 18 minutes anyway. I’ve used a cream cheese frosting, but yours looks yummy and buttery sweet. These sound perfect! I’ll be trying this recipe in the coming weeks. Amber I have a question? 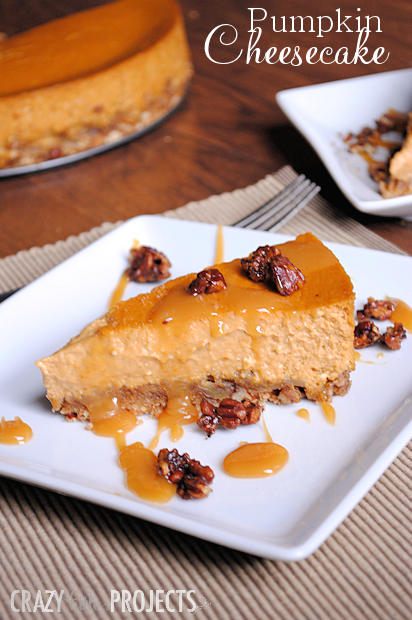 Are using real canned pumpkin or the other kind? I can’t wait to create these cupcakes!!!!!! 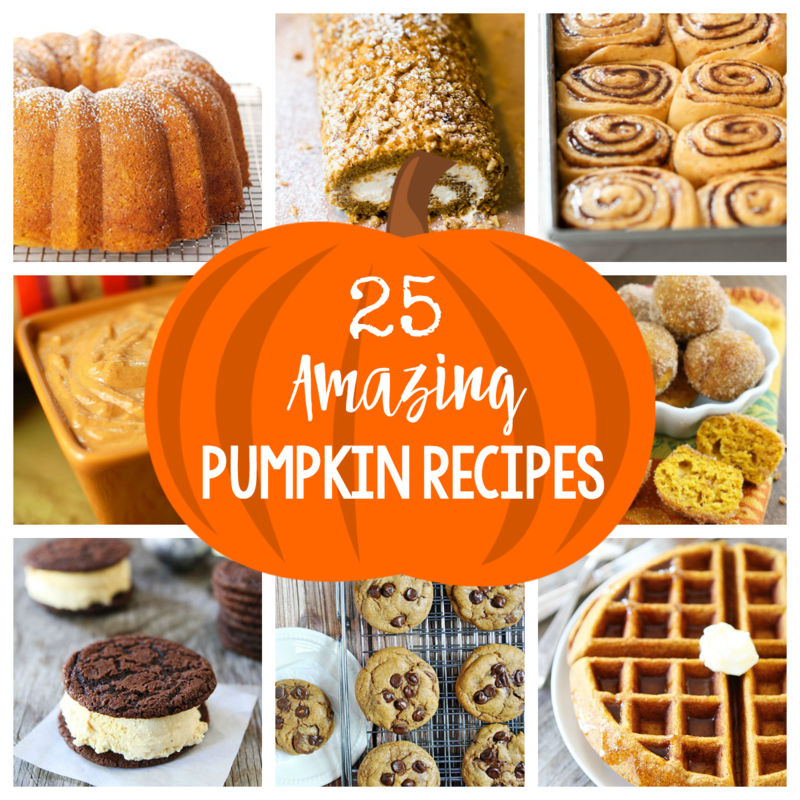 I used pumpkin but just had a reader email me and say she did it with pumpkin pie filling and loved it, so I would say either! Will try to make them. They look so tasty. What size of vanilla pudding mix? I use the larger, but either will do. They look yummy. It’s nice to have an easy cupcake recipe. I bet they taste good too! Can’t wait to try your recipes. . Ever made these without the instant pudding mix?? Sure-it’s just bonus but they will work fine without it. Yuck! I am making these now and the texture is more like custard than cake. You might consider specifying what type of cake and pudding mixes you used, as I suspect that might be my problem. Should be instant pudding. Otherwise it’s pretty straight forward.